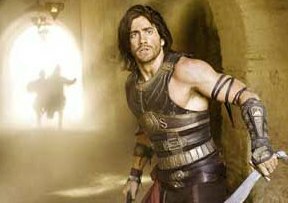 Jake Gyllenhaal's movie Prince of Persia: Sands of Time hit cinema screens earlier this year. He has recently finished filming his new sci-fi movie, Source Code (out 2011) in Chicago. The plot centres around a soldier who tele-ports into someone else's body. Here he talks about much more conventional forms of travel and why he loves Morocco. He's been a troubled teenage misfit, a gay cowboy, a confused young soldier; heck, Prince of Persia even saw him don the mantle of action hero. Jake Gyllenhaal has an entire back catalogue of astonishingly diverse roles and it's plain to see he works all the hour's god sends. But all work and no play makes Jake a dull boy, so when he gets some down time, he loves to make the most of it. Which is how he came to fall in love with Morocco. So what does he love about the spectacular North African country? "My DNA now has the Moroccan desert in it because I've definitely breathed my share of sand," jokes Jake. "I grew up in Southern California and the weather and topography of Morocco are actually quite similar, so it wasn't too rough for me." Jake visited during July and August - the country's hottest months - and consequently endured temperatures of more than 120 degrees Fahrenheit and some very dirty and dusty conditions. "It's a really beautiful country...there were times when I'd just drive and drive, just amazed at the landscapes and the culture"
"I can't recall the amount of times you had to just get the sand out of your eyes, mouth and ears so you looked like you weren't literally made of sand," he laughs. "I had been before but I'd never actually gone as far into the desert and seen as much of Morocco as I've done recently." 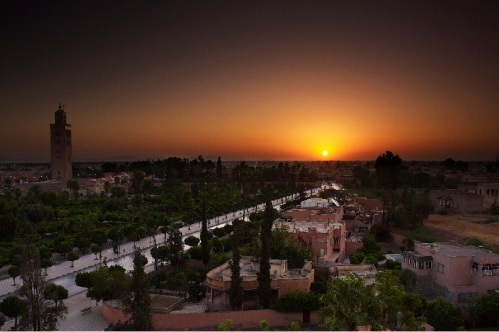 Part of what makes Morocco such an appealing place to visit is its mix of the ancient and modern world. Just as traditional life thrives in the mountains, valleys, plains and deserts, so the contemporary flourishes in Morocco's cities, with chic restaurants, smart clubs and boutique hotels that pepper Marrakesh. Jake himself stayed at the beautiful Villa Rose Sultan. Located in a quiet spot, it's perfect for the celebrity wishing to escape prying eyes and it gives striking vistas of the Atlas Mountains. "It's a really beautiful country," sighs Jake. "There were times when I'd just drive and drive, just amazed at the landscapes and the culture. Moroccan people are the sweetest, kindest people and are incredibly hard workers."